New Instrument eliminates the need for a dedicated sensor power supply while enabling power and efficiency measurement of two circuits. HIOKI Singapore Private Limited announced the launch of the Power Quality Analyser PQ3198, a new instrument that revamps the functionality and specifications of its predecessor, the Power Quality Analyser PW3198. The product makes it even easier to record and analyse power supply issues, including by eliminating the need for a dedicated sensor power supply and by enabling power and efficiency measurement of two circuits. Power quality analysers are measuring instruments that record and analyse power supply quality in order to investigate the causes of those and similar issues in the field. 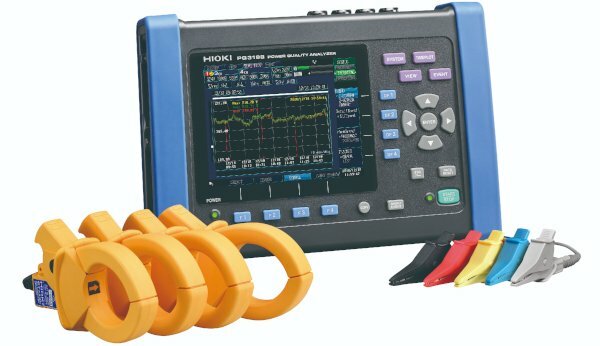 Since launching the Power Quality Analyser 3196 in 2001, HIOKI has developed a series of increasingly sophisticated products for the product line to accommodate customer needs while helping them resolve numerous power supply issues around the world. HIOKI’s line of power quality analysers currently consists of the mid-range PQ3100, launched in October 2016, and the flagship PW3198, launched in April 2011. Those instruments are paired with voltage cords and current sensors that measure voltage and current, respectively, and some of the latter require a separate, dedicated power supply. After HIOKI added functionality for powering current sensors to the PQ3100, there was increasing demand from customers to do the same for the flagship PW3198, which led HIOKI to redesign the model. The PQ3198 ships with PQ ONE, a popular analytical software package that also comes with the Power Quality Analyser PQ3100. Functionality includes display of event statistics (to display events by date or time of day), EN50160 judgment (for evaluation, analysis, and judgment capability that complies with the EN50160 standard), and report generation.